Like Facebook? Well, most of us do. I’ve got something cool for you today; it’s a Facebook application- VisualSage for your desktop. If you’re thinking that it might be just a chat application then lemme correct you, this app is one of the most innovative social networking apps I’ve seen. It does a lot more than just chatting with your Facebook friends. Apart from chatting, you can access several other Facebook features like Notification, Poke, Profile, Photo browsing, etc. So what makes this software interesting? It is built upon Microsoft’s new technology known as WPF (Windows Presentation Foundation). 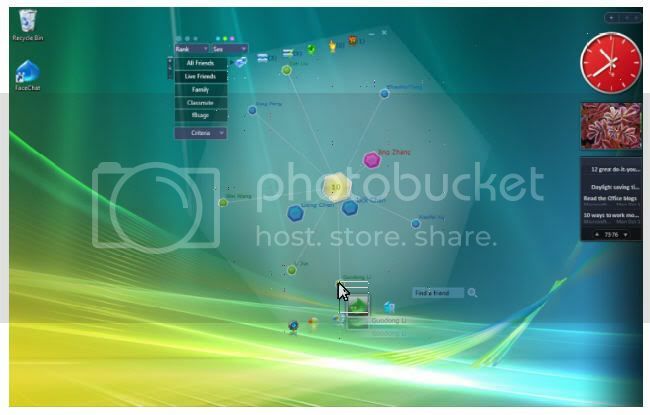 It displays an innovative and interactive graph representation of your social network on your desktop. You can easily have quick access to any of your friends profile. In addition to this you can use different indicators to present friends’ attributes and similarities. You can also group your friends into subgroups by simply dragging and dropping them. The best part that I liked about this software was the photo browsing feature. The photo browsing feature is great, you can switch between photos within few clicks. 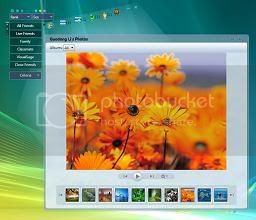 Moreover, the software caches the photos which reduces loading time if you view them again. As I said earlier you can also chat with this software. You can chat with both online as well as offline friends. If you send a message to an offline friend then the message will land into his notification box.